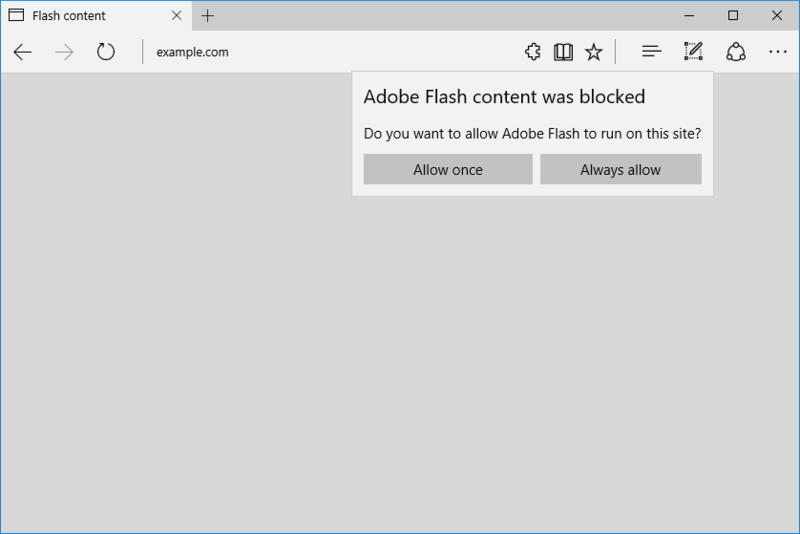 Microsoft Edge will start automatically blocking Flash contents with the upcoming Windows 10 Creators Update. The users will manually need to allow Flash to run with a new “click-to-run” prompt. These new changes will give users more control over the security of their browser. Recently, Google, Apple and Mozilla are all started blocking Fash contents. This Edge update will release with the Creators Update, but Insider members will soon get a chance to try it out in upcoming preview builds.